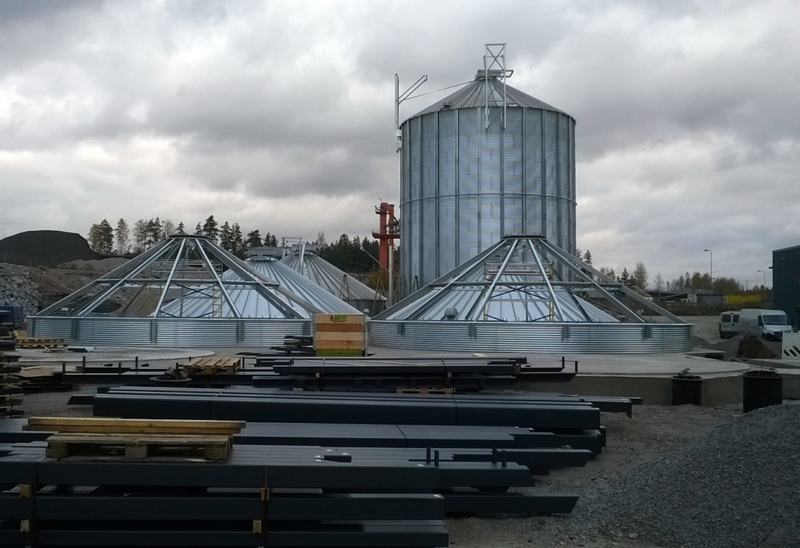 Hankkija Oy is Finland’s leading retail chain in the agricultural sector, with approximately 800 employees and a turnover of 850 million euros (2014). Hankkija Group is owned by the Danish Agro Group. 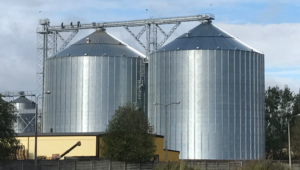 Hankkija manages approximately 150,000 tonnes of grain annually, which is almost half of Finland’s total annual production. 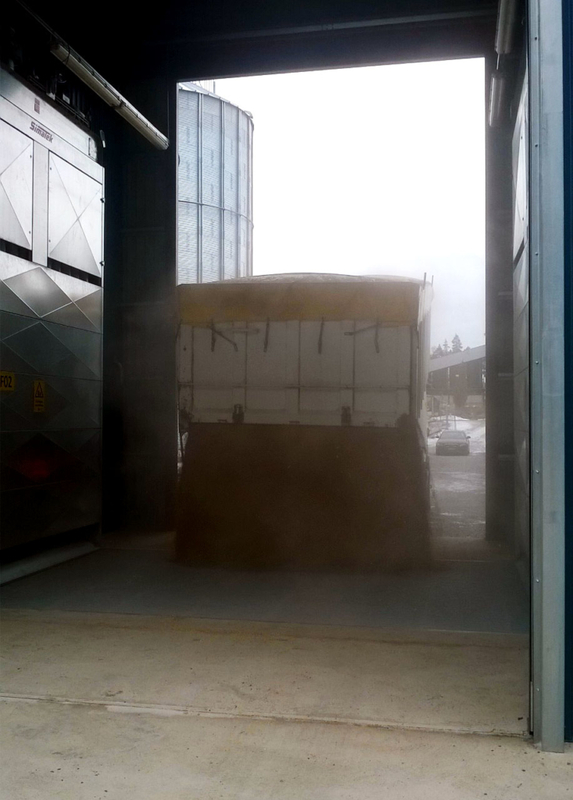 One third of the grain is used in the feed industry and Hankkija is one of the leading brands in lining. 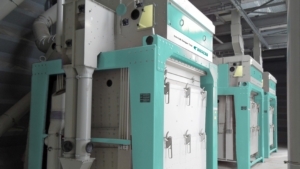 The factory produces feed for pigs and poultry. 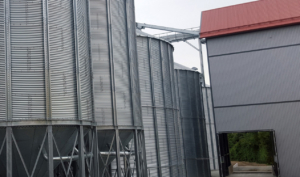 In 2015, they produced a total of approximately 240,000 tonnes of feed. 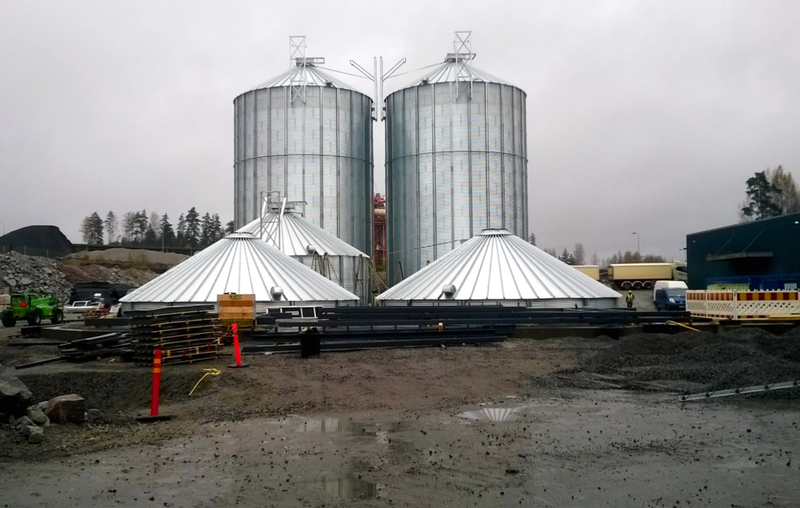 TORNUM has gained the confidence to build a new grain intake and storage silos. 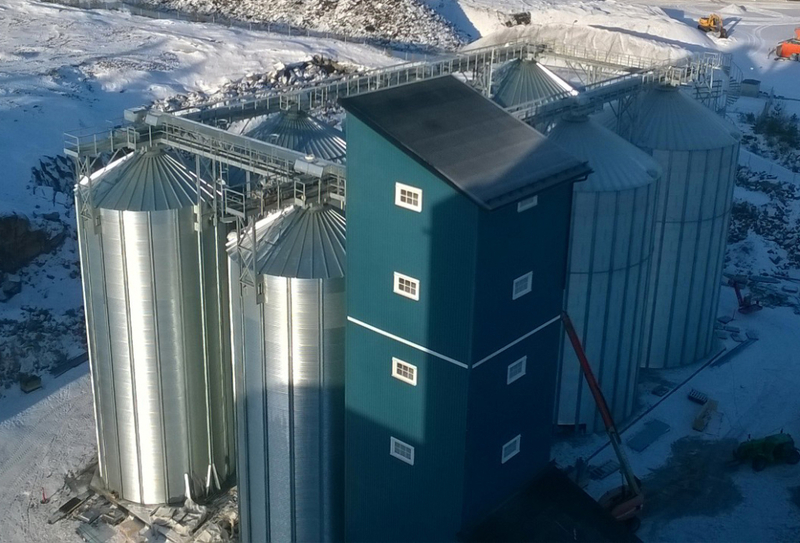 The new grain plant will triple Hankkya’s storage capacity. 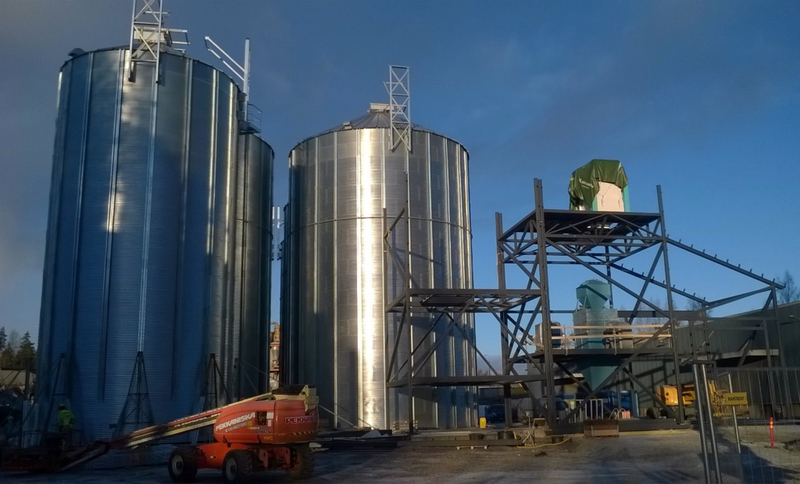 The project is performed with a complete contract with including design, concrete work, assembly and commissioning. Automatic sampler that takes grain samples directly from the load. 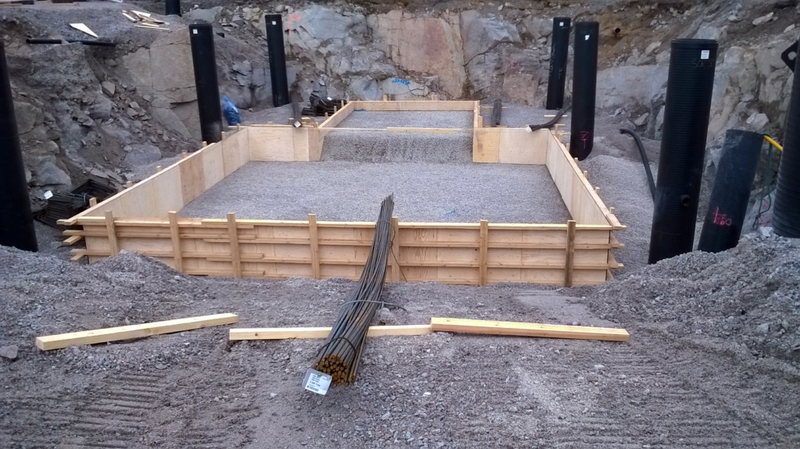 2016-08-15 Reinforcement and molding prior to casting of culvert has begun. 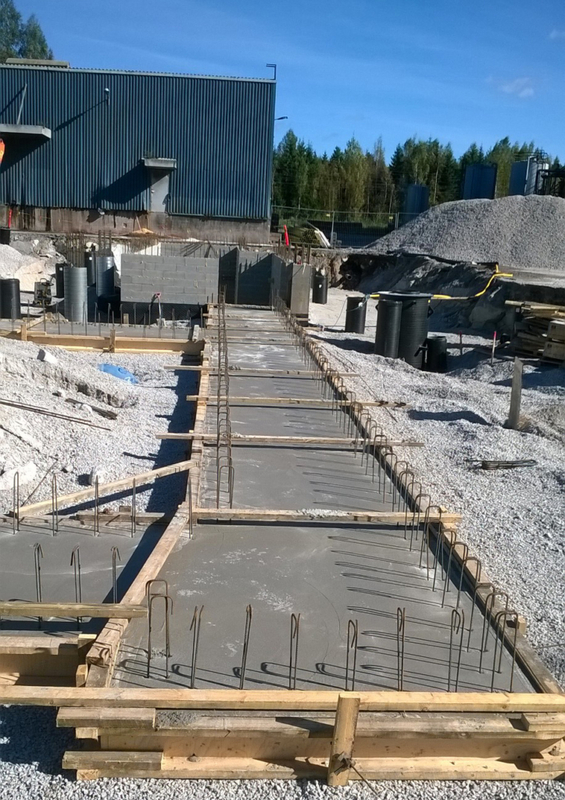 2016-09-08 The casting of the culvert floor is completed. 2016-09-20 Refill and covering of the culvert. 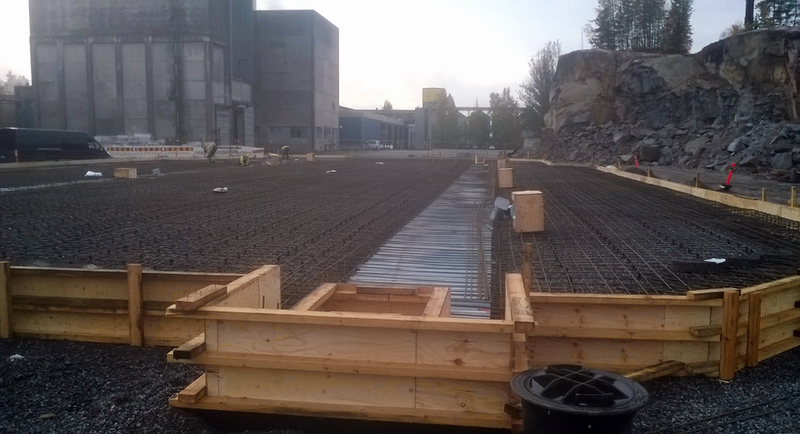 2016-09-29 Reinforcement and molding before casting of the drying house slab. 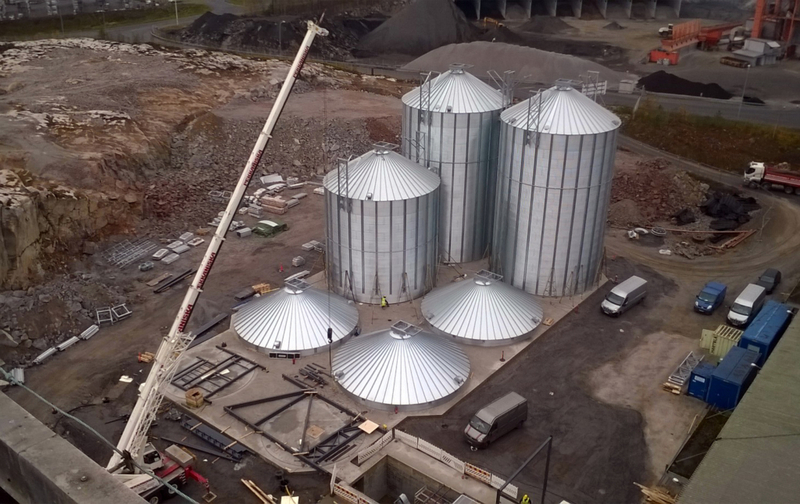 2016-09-29 The delivery of silos has arrived at to the site. 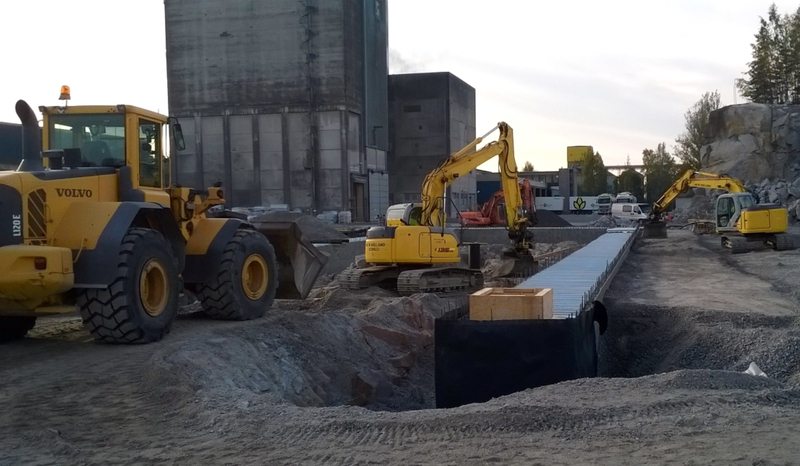 2016-10-18 The assembly work is ongoing. 2016-10-19 The first silon is fully assembled. 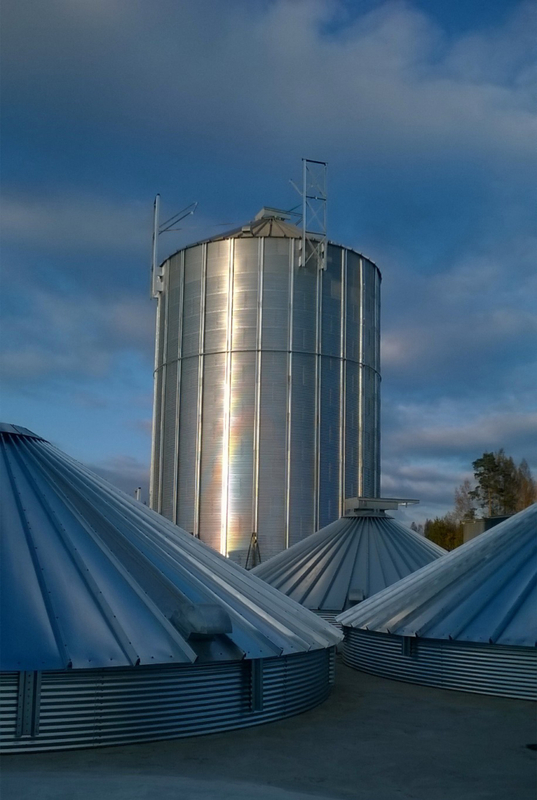 2016-10-27 The second silo is ready. The frame of the reception building has been welded. 2016-11-01 Construction site from above. 2016-12-01 The assembly of the house is ongoing. The cleaning machine is in place. 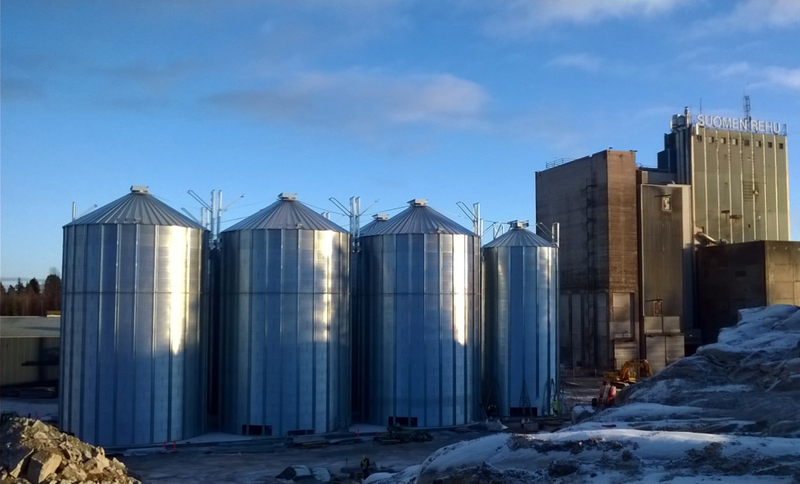 2016-12-01 Six silos, 2,000 m3 per piece, are fully assembled. 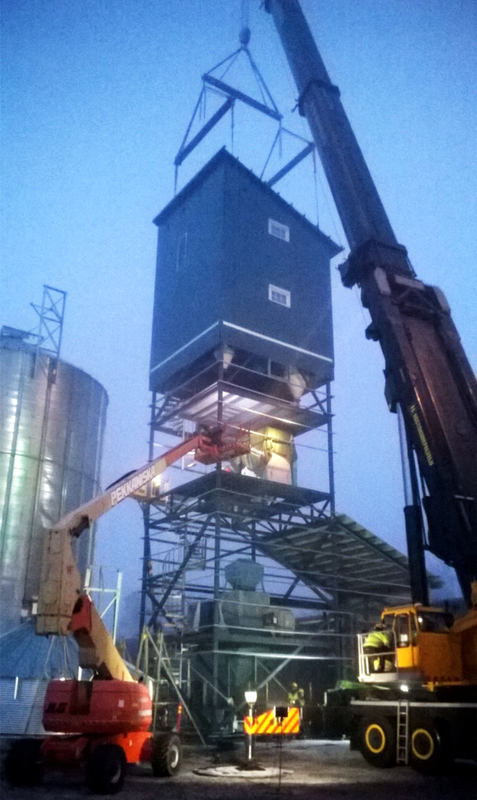 The smaller silo is under construction. 2016-12-16 Preparing forlifting the roof. The weather is fine, no wind. 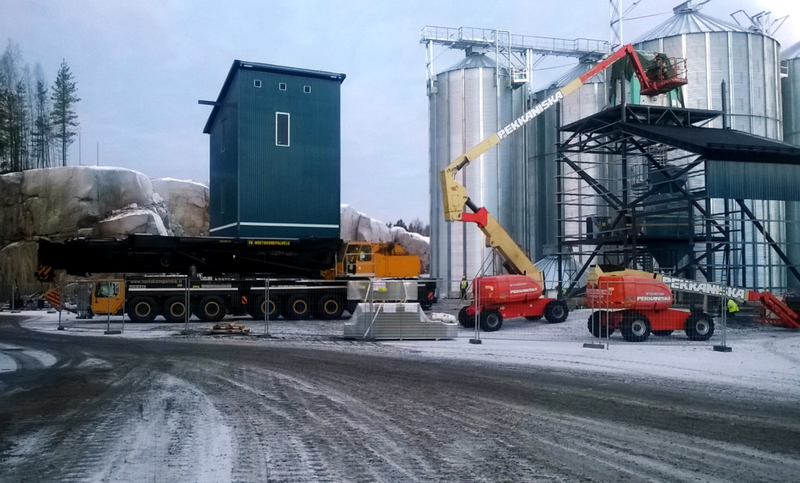 2016-12-16 The lift goes as planned and the roof is in place. 2017-01-21 The exterior is ready. The work continues indoors. 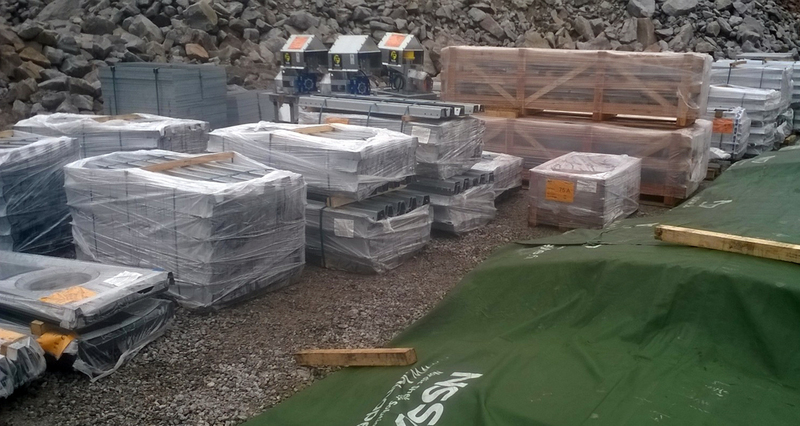 2017-03-08 Everything is in place and ready to be taken into operation.